Rather speak to someone directly? Give Bud a call at 1-800-342-5283 Monday through Friday, 11am-8pm CST. What if I think a specific ad is false or misleading? Broadcasters are responsible for selecting the broadcast material that airs on their stations, including advertisements. The FCC expects broadcasters to be responsible to the community they serve and act with reasonable care to ensure that advertisements aired on their stations are not false or misleading. The FTC has primary responsibility for determining whether specific advertising is false or misleading, and for taking action against the sponsors of such material. You can file a complaint with the FTC online or call toll-free 1-877-FTC-HELP (1-877-382-4357). This DUDS for you! Perhaps you didn’t realize the extent to which your Super Bowl commercial would strike a nerve with rural residents across the country and around the world? You see, unfortunately, THOUSANDS of rural communities find themselves battling the improper siting of Industrial Wind Turbines. 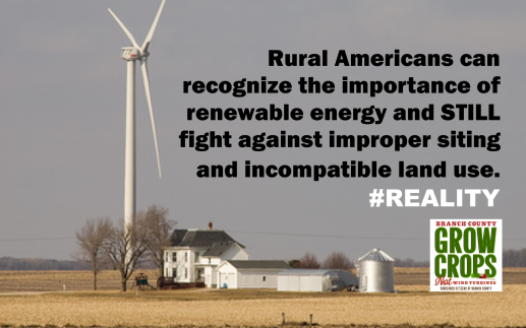 Unlike the vast, wide open prairies featured in your ad, wind developers now attempt to irresponsibly site their turbines too close to the homes of rural people — ignoring even the most basic of safety measures! Unfortunately, the popular narrative echoes how polarized this issue has become. If you advocate for responsible siting of Industrial Turbines, you must be a climate denier or must be working for the Coal or Oil industry — when neither is true. Please accept these signatures, from rural Americans, Canadians, and people all over the world, who are simply fighting to protect themselves from incompatible land use and unsafe siting. Please educate yourself on the REALITY of Industrial Wind!